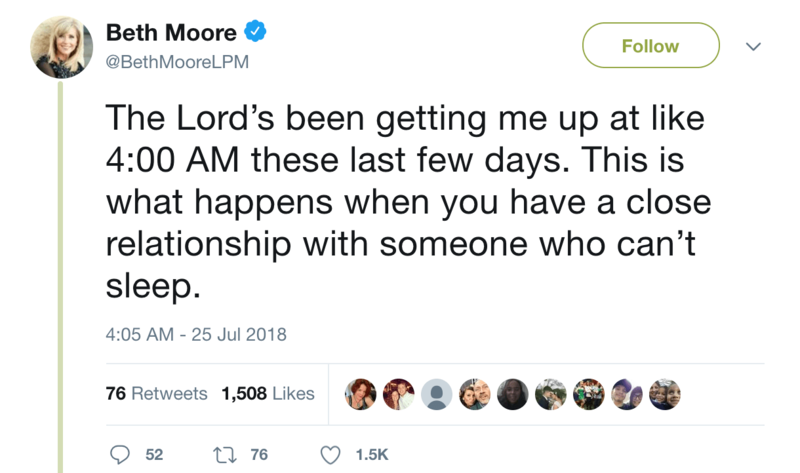 What God is doing between the hours of Beth Moore’s bedtime and 4AM, we don’t know. But apparently, the Almighty God of Heaven has no one to talk to. It must be hard being a conduit of direct, divine revelation. And it must be exhausting. She tweeted this nonsense earlier today. For more posts on Beth Moore, click here. One Year After Our Church Stood Up Against Social Justice: Can You Hear Us Now?